Today we have made delicious pizzas, with green peppers, sweetcorn, mushrooms, onions and lots of cheese. Children each had a go at cutting the green peppers, mushrooms and onions. They also had a smell of each of the toppings even the onions! [slideshow]Today in Plan, Do and Review our theme was ‘Bugs’. Some of the children went on a bug hunt outside in the playground looking for bugs. They had magnifying glasses to look at them closely. 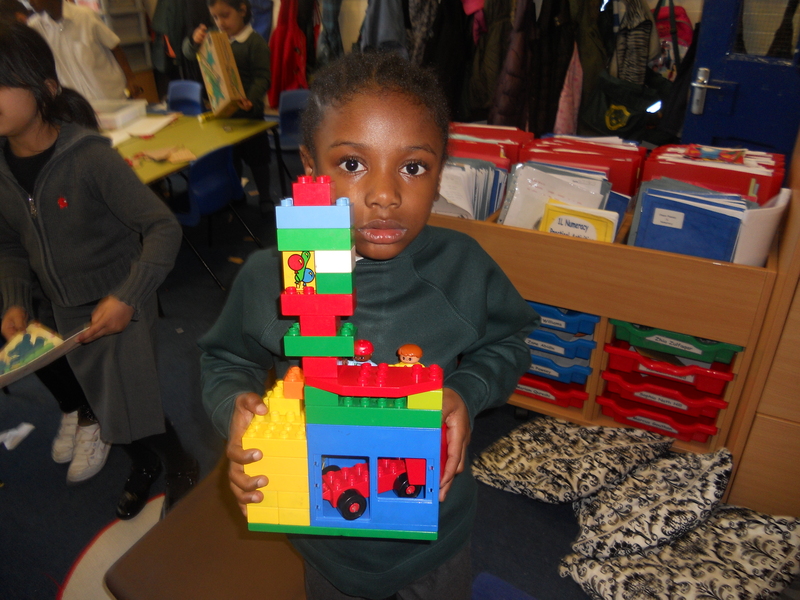 Other children made bees with construction, while other children made spiderman masks and insect masks. 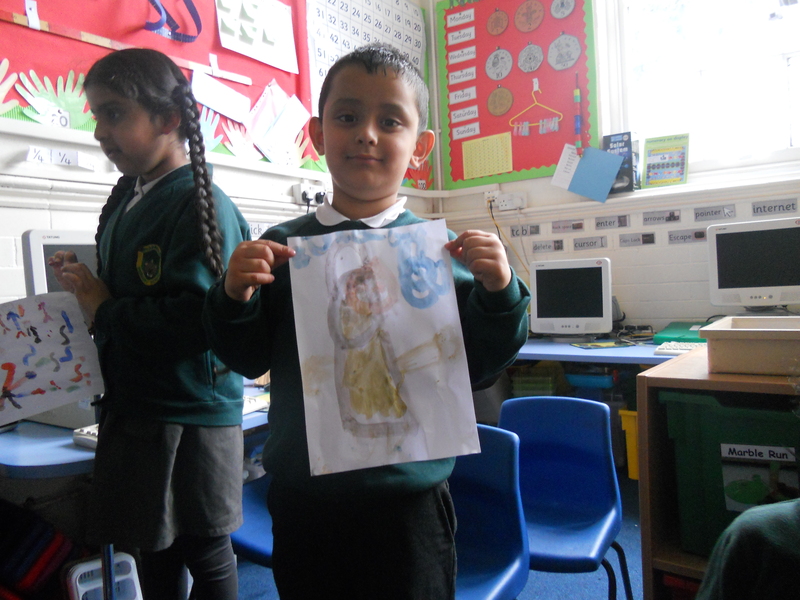 Can you spot the funny bugs we found hiding behind the magnifying glasses? 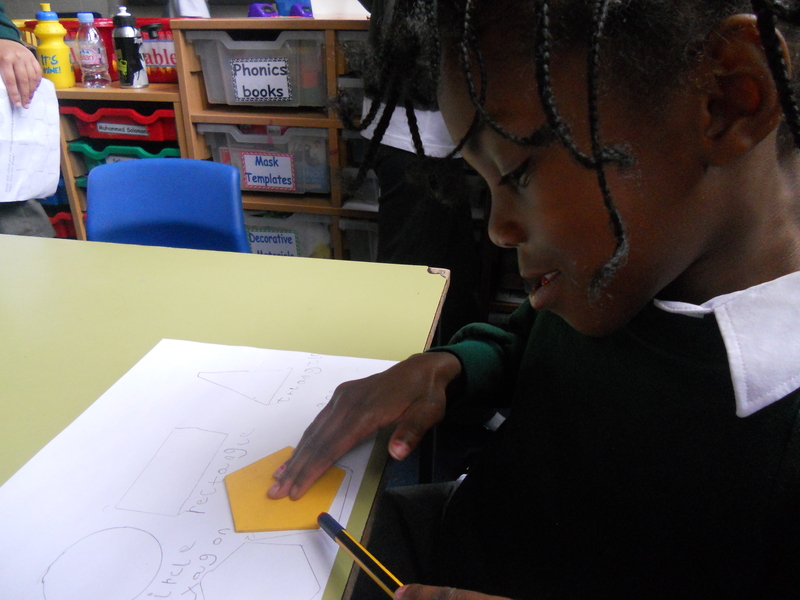 Today I have been learning about 2d shapes in Numeracy. I learnt today that a Pentagon has 5 sides and a Hexagon has 6 sides. I had to put lots of different shapes into the baskets which had the shape names on them. Then I had to draw around my shapes and write the name of the shape, and I even put how many sides that shape had. I really enjoyed doing 2d shapes today. Today in Plan-Do-Review I painted a witch. I really enjoyed painting. We have also been mixing paints today. We know that red and yellow makes orange and red and green makes brown. Today in Plan-Do-Review I made some flowers. 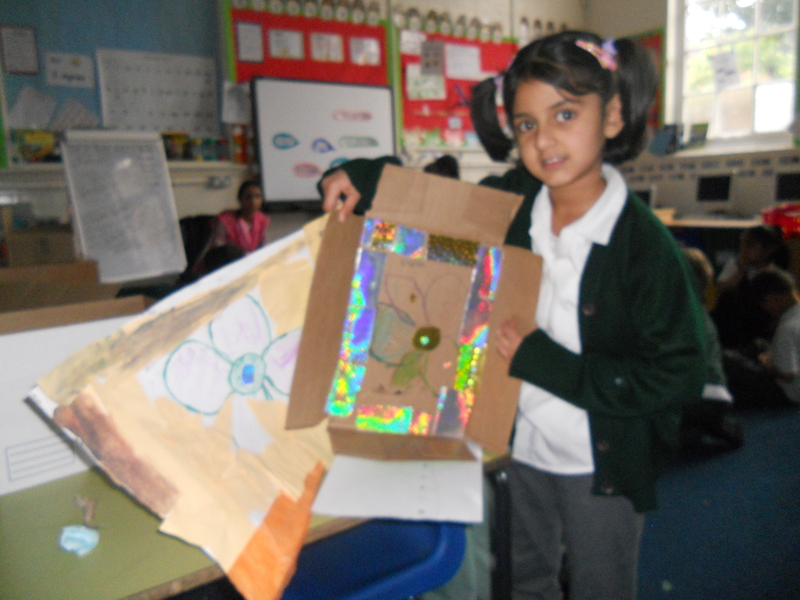 To make this I used some shiny cardboard, tissue paper, different colour paints and felt tips. I really enjoyed making these flowers today. I had so much fun! Today in Plan-Do-Review I made a house and a garage. I used lego to make this and I put play people inside and a car too. I had so much fun today making this and I really enjoyed myself too! !